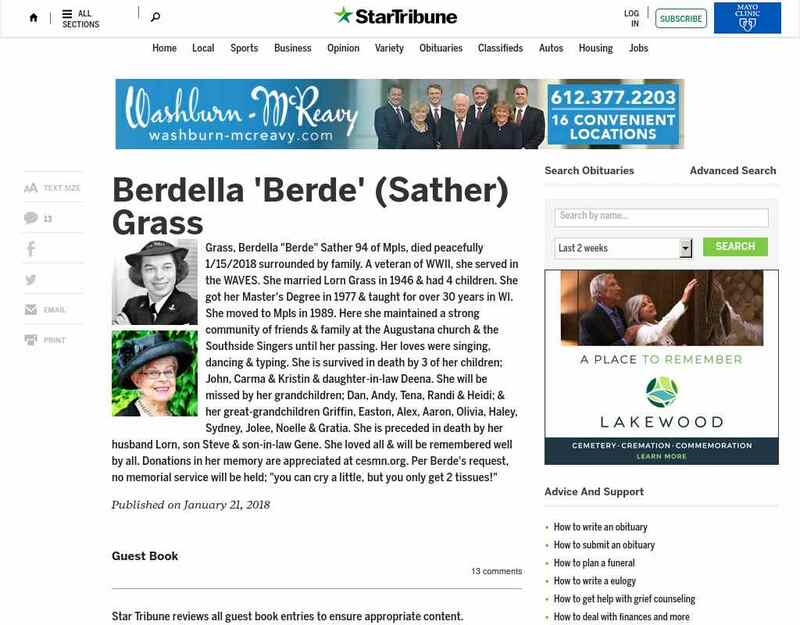 "..Grass, Berdella "Berde" Sather 94 of Mpls, died peacefully 1/15/2018 surrounded by family. A veteran of WWII, she served in the WAVES. She married Lorn Grass in 1946 & had 4 children. She got her Master's Degree in 1977 & taught for over 30 years in WI."